If you’ve got an average ecommerce site, 98-99% of your customers aren’t buying. We can fix that. Testing different page layouts, different calls to action, testing different imagery, etc., all to find a combination that works better than what you’ve got now. With the right process, CRO is powerful. An average ecommerce conversion rate is 1-2%. If we can double it, we can double your sales. The testing process generally results in small gains – 2% here, 4% there – which add up over time. The top performing sites we work with have conversion rates over 4%, depending on traffic type. A 4% conversion rate might not sound that great, but it's often 2-4 times higher than where we start out. That's a 200-400% gain in website sales. We review your analytics and user testing data to come up with test ideas. We install our testing tool and create our tests. We review data and feedback from our tests. When we have a winner, we update your site and then start a new test. 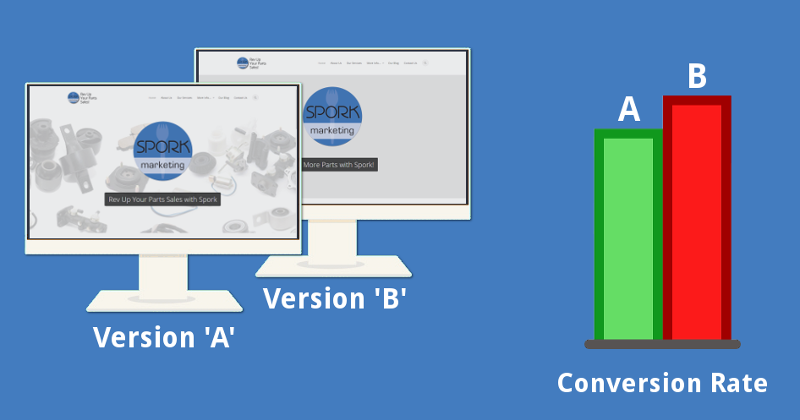 We keep testing and improving your site's conversion rate. You sit back and smile. Help us raise your conversion rate. Contact us now to discuss your site, your goals, and let’s see if we’re a good fit for one another.